In April 2016 the world lost a music legend. This is the biography of the iconic composer, singer, songwriter and multi-instrumentalist - the inimitable Prince. Prince was an icon. A man who defined an era of music and changed the shape of popular culture forever. There is no doubt that he was one of the most talented and influential artists of all time, and also one of the most mysterious. On 21st April 2016 the world lost its Prince; it was the day the music died. 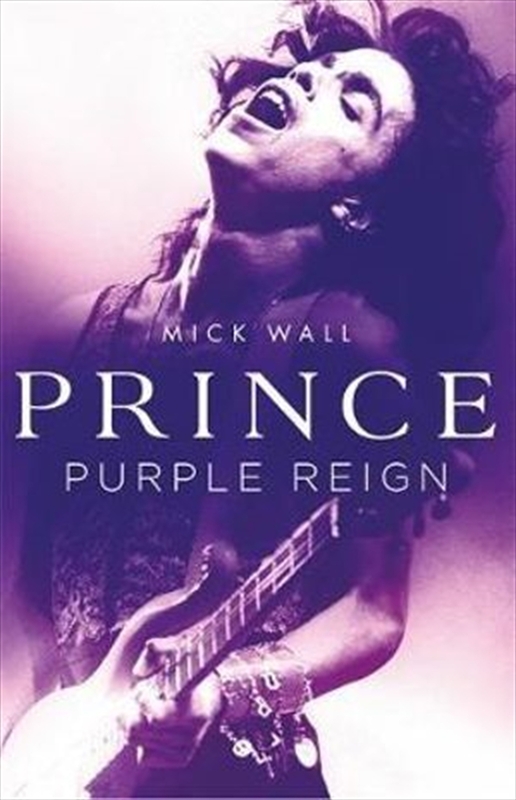 This book will open a door to Prince's world like never before - from his traumatic childhood and demonic pursuit of music as a means of escape, to his rise to superstardom, professional rivalries and marriages shrouded in tragedy, internationally bestselling music writer Mick Wall explores the historical, cultural and personal backdrop that gave rise to an artist the likes of which the world has never seen - and never will again. Mick, a lifelong Prince fan, was one of the first UK journalists to ever write about this enigmatic star, and it was his story that put Prince on the cover of Kerrang magazine in 1984 and inspired the biggest mailbag of letters the magazine has ever had. As Prince sang in '7', 'no one in the whole universe will ever compare', and this book is a shining tribute to the forever incomparable Prince.